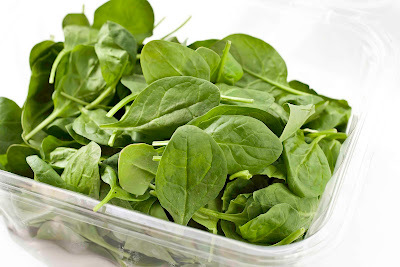 Spinach health benefits you should keep in mind is that this green and leafy vegetable will be able to provide you with the nutrients that you require. In fact, a single cup full of spinach will give you adequate amounts of vitamin A and vitamin K. It will also get you lots of folate and manganese in addition to magnesium. There are very many healt benefits of eating spinach. Spinach contains more than a dozen individual flavonoid compounds, which work together as cancer-fighting antioxidants. These elements neutralize free radicals in the body and thus help to prevent cancer. In fact, one study of New England women showed less breast cancer cases among those who ate spinach on a regular basis. Spinach extracts have reduced skin cancer in lab animals and show promise at slowing stomach cancer as well. Protein Rich for Infant’s Proper Growth: ‘Popeye’, the sailor man is known for his obsession for spinach. The cartoon was deliberately shown to eat spinach and get strong. Infants are advised to be fed with spinach which is a rich in protein, vitamins minerals and phytonutrients. These will result in proportionate development in there growing stages. The high amount of vitamin A in spinach also promotes healthy skin by allowing for proper moisture retention in the epidermis, thus fighting psoriasis , keratinization, acne and even wrinkles.